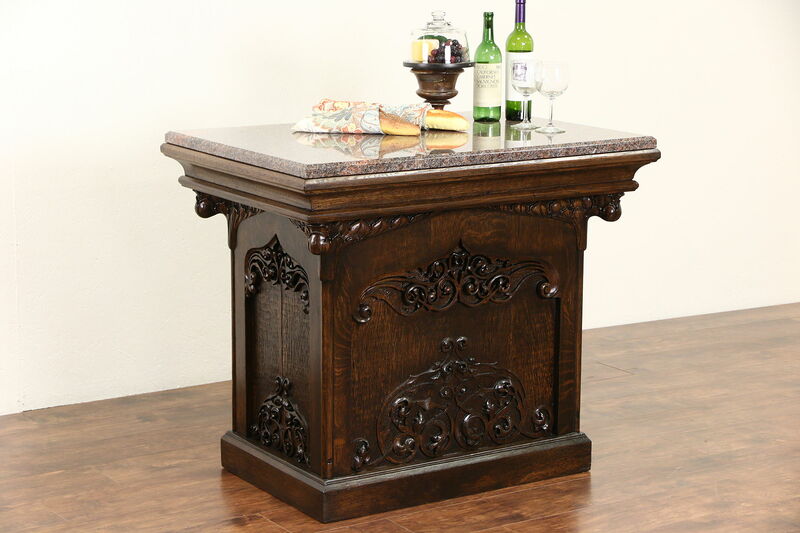 Lavishly carved of solid quarter sawn oak about 1890, this grand pedestal table has been fitted with a beveled granite top to use as a kitchen island or wine tasting table. The base has an excellent finish, preserving just enough wear for a little antique character. American made furniture, the detailing has a Gothic flavor. Size is 41" wide, 29" deep and 35" tall.